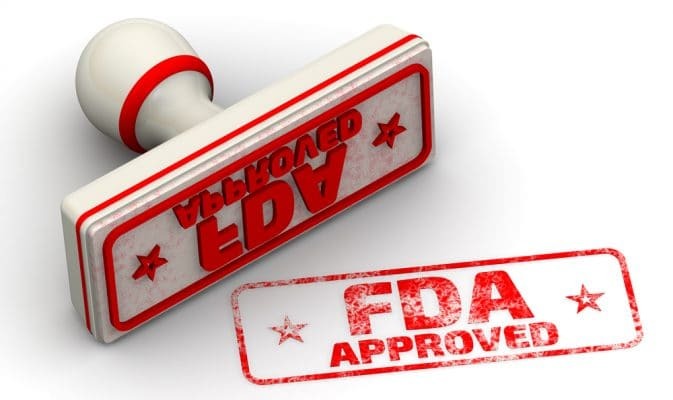 The U.S. Food and Drug Administration today approved Mylotarg (gemtuzumab ozogamicin) for the treatment of adults with newly diagnosed acute myeloid leukemia whose tumors express the CD33 antigen (CD33-positive AML). The FDA also approved Mylotarg for the treatment of patients aged 2 years and older with CD33-positive AML who have experienced a relapse or who have not responded to initial treatment (refractory). Mylotarg originally received accelerated approval in May 2000 as a stand-alone treatment for older patients with CD33-positive AML who had experienced a relapse. Mylotarg was voluntarily withdrawn from the market after subsequent confirmatory trials failed to verify clinical benefit and demonstrated safety concerns, including a high number of early deaths. Today’s approval includes a lower recommended dose, a different schedule in combination with chemotherapy or on its own, and a new patient population. AML is a rapidly progressing cancer that forms in the bone marrow and results in an increased number of white blood cells in the bloodstream. The National Cancer Institute of the National Institutes of Health estimates that approximately 21,380 people will be diagnosed with AML this year and that 10,590 patients with AML will die of the disease. Mylotarg is a targeted therapy that consists of an antibody connected to an anti-tumor agent that is toxic to cells. It is thought to work by taking the anti-tumor agent to the AML cells that express the CD33 antigen, blocking the growth of cancerous cells and causing cell death. The safety and efficacy of Mylotarg in combination with chemotherapy for adults were studied in a trial of 271 patients with newly diagnosed CD33-positive AML who were randomized to receive Mylotarg in combination with daunorubicin and cytarabine or to receive daunorubicin and cytarabine without Mylotarg. The trial measured “event-free survival,” or how long patients went without certain complications, including failure to respond to treatment, disease relapse or death, from the date they started the trial. Patients who received Mylotarg in combination with chemotherapy went longer without complications than those who received chemotherapy alone (median, event-free survival 17.3 months vs. 9.5 months). The safety and efficacy of Mylotarg as a stand-alone treatment were studied in two, separate trials. The first trial included 237 patients with newly diagnosed AML who could not tolerate or chose not to receive intensive chemotherapy. Patients were randomized to receive treatment with Mylotarg or best supportive care. The trial measured “overall survival,” or how long patients survived from the date they started the trial. Patients who received Mylotarg survived longer than those who received only best supportive care (median overall survival 4.9 months vs. 3.6 months). The second trial was a single-arm study that included 57 patients with CD33-positive AML who had experienced one relapse of disease. Patients received a single course of Mylotarg. The trial measured how many patients achieved a complete remission. Following treatment with Mylotarg, 26 percent of patients achieved a complete remission that lasted a median 11.6 months. Common side effects of Mylotarg include fever (pyrexia), nausea, infection, vomiting, bleeding, low levels of platelets in the blood (thrombocytopenia), swelling and sores in the mouth (stomatitis), constipation, rash, headache, elevated liver function tests, and low levels of certain white blood cells (neutropenia). Severe side effects of Mylotarg include low blood counts, infections, liver damage, blockage of the veins in the liver (hepatic veno-occlusive disease), infusion-related reactions, and severe bleeding (hemorrhage). Women who are pregnant or breastfeeding should not take Mylotarg, because it may cause harm to a developing fetus or a newborn baby. Patients with hypersensitivity to Mylotarg or any component of its formulation should not use Mylotarg. The prescribing information for Mylotarg includes a boxed warning that severe or fatal liver damage (hepatotoxicity), including blockage of veins in the liver (veno-occlusive disease or sinusoidal obstruction syndrome), occurred in some patients who took Mylotarg. Mylotarg received Orphan Drug designation, which provides incentives to assist and encourage the development of drugs for rare diseases. The FDA granted the approval of Mylotarg to Pfizer Inc.